At present, nuclear disarmament seems to have ground to a halt. Nine nations have a total of approximately 15,500 nuclear warheads in their arsenals, including 7,300 possessed by Russia and 7,100 possessed by the United States. A Russian-American treaty to further reduce their nuclear forces has been difficult to secure thanks to Russian disinterest and Republican resistance. Yet nuclear disarmament remains vital, for, as long as nuclear weapons exist, it is likely that they will be used. Wars have been fought for thousands of years, with the most powerful weaponry often brought into play. Nuclear weapons were used with little hesitation by the US government in 1945 and, although they have not been employed in war since then, how long can we expect to go on without their being pressed into service again by hostile governments? Furthermore, even if governments avoid using them for war, there remains the danger of their explosion by terrorist fanatics or simply by accident. More than a thousand accidents involving US nuclear weapons occurred between 1950 and 1968 alone. Many were trivial, but others could have been disastrous. Although none of the accidentally launched nuclear bombs, missiles, and warheads―some of which have never been found―exploded, we might not be as lucky in the future. Also, nuclear weapons programs are enormously costly. Currently, the US government plans to spend $1 trillion over the next 30 years to refurbish the entire US nuclear weapons complex. Is this really affordable? 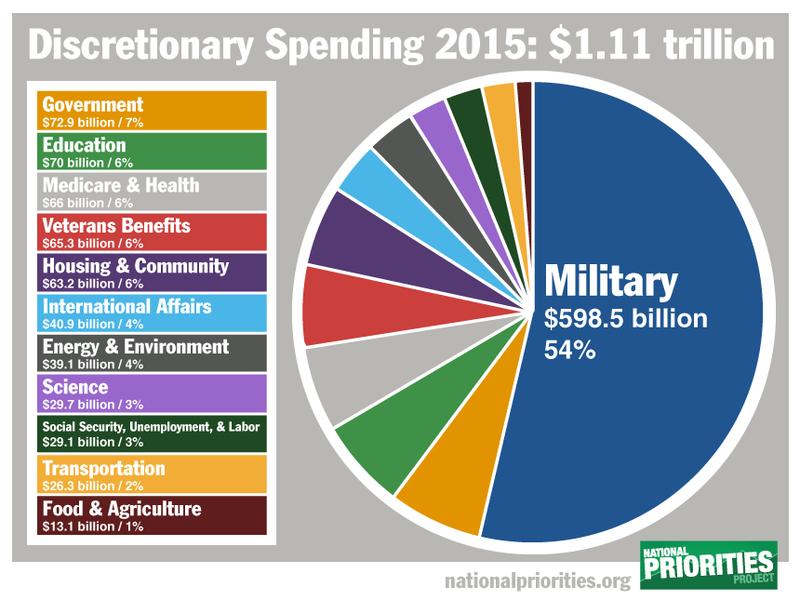 Given the fact that military spending already chews up 54 percent of the federal government’s discretionary spending, an additional $1 trillion for nuclear weapons "modernization" seems likely to come out of whatever now remains of funding for public education, public health, and other domestic programs. In addition, the proliferation of nuclear weapons to additional countries remains a constant danger. The nuclear Non-Proliferation Treaty (NPT) of 1968 was a compact between the non-nuclear nations and nuclear-armed nations, with the former forgoing nuclear weapons development while the latter eliminated their nuclear arsenals. But the nuclear powers’ retention of nuclear weapons is eroding the willingness of other nations to abide by the treaty. Conversely, further nuclear disarmament would result in some very real benefits to the United States. A significant reduction in the 2,000 US nuclear weapons deployed around the world would reduce nuclear dangers and save the US government enormous amounts of money that could fund domestic programs or simply be returned to happy taxpayers. Also, with this show of respect for the bargain made under the NPT, non-nuclear nations would be less inclined to embark on nuclear weapons programs. Unilateral US nuclear reductions would also generate pressures to follow the US lead. If the US government announced cutbacks in its nuclear arsenal, while challenging the Kremlin to do the same, that would embarrass the Russian government before world public opinion, the governments of other nations, and its own public. Eventually, with much to gain and little to lose by engaging in nuclear reductions, the Kremlin might begin making them as well. Opponents of nuclear reductions argue that nuclear weapons must be retained, for they serve as a "deterrent." But does nuclear deterrence really work? Ronald Reagan, one of America’s most military-minded presidents, repeatedly brushed off airy claims that US nuclear weapons had deterred Soviet aggression, retorting: "Maybe other things had." Also, non-nuclear powers have fought numerous wars with the nuclear powers (including the United States and the Soviet Union) since 1945. Why weren’t they deterred? Of course, much deterrence thinking focuses on the safety from nuclear attack that nuclear weapons allegedly provide. But, in fact, US government officials, despite their vast nuclear armada, don’t seem to feel very secure. How else can we explain their huge financial investment in a missile defense system? Also, why have they been so worried about the Iranian government obtaining nuclear weapons? After all, the US government’s possession of thousands of nuclear weapons should convince them that they needn’t worry about the acquisition of nuclear arms by Iran or any other nation. Furthermore, even if nuclear deterrence does work, why does Washington require 2,000 deployed nuclear weapons to ensure its efficacy? A 2002 study concluded that, if only 300 US nuclear weapons were used to attack Russian targets, 90 million Russians (out of a population of 144 million) would die in the first half hour. Moreover, in the ensuing months, the enormous devastation produced by the attack would result in the deaths of the vast majority of survivors by wounds, disease, exposure, and starvation. Surely no Russian or other government would find this an acceptable outcome. This overkill capacity probably explains why the US Joint Chiefs of Staff think that 1,000 deployed nuclear weapons are sufficient to safeguard US national security. It might also explain why none of the other seven nuclear powers (Britain, France, China, Israel, India, Pakistan, and North Korea) bothers to maintain more than 300 nuclear weapons. Although unilateral action to reduce nuclear dangers might sound frightening, it has been taken numerous times with no adverse consequences. The Soviet government unilaterally halted nuclear weapons testing in 1958 and, again, in 1985. Starting in 1989, it also began removing its tactical nuclear missiles from Eastern Europe. Similarly, the US government, during the administration of US president George H.W. Bush, acted unilaterally to remove all US short-range, ground-launched nuclear weapons from Europe and Asia, as well as all short-range nuclear arms from US Navy vessels around the world―an overall cut of several thousand nuclear warheads. Obviously, negotiating an international treaty that banned and destroyed all nuclear weapons would be the best way to abolish nuclear dangers. But that need not preclude other useful action from being taken along the way. Lawrence S. Wittner (http://lawrenceswittner.com) is Professor of History emeritus at SUNY/Albany. His latest book is a satirical novel about university life, What’s Going On at UAardvark? (Solidarity Press). A longer version of this article appeared originally in The Asia-Pacific Journal.